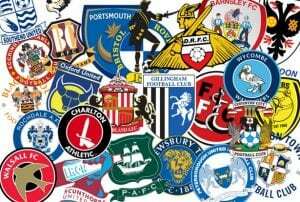 League One Predictions - Bet Now With The Best Sporting Odds! The 2018/19 League One season is going to be one to remember that’s for sure. With new challengers and teams added into the league, it will definitely not be another predictable season like in previous seasons, where it is clear to see which few teams are dominating the division. Let’s dive deep into this and see what odds are available for the teams in contention to win the league, gain promotion, reach the play offs and finally, which teams look to be heading towards relegation. Last season the league was taken over and nearly every team was outplayed by the likes of Blackburn, Wigan and Shrewsbury who in all honesty didn’t deserve to be in that league, they are sides that should always be competing at a higher level and not in League One. This year, eyes will be upon Sunderland mainly, who again don’t deserve to be in this league and should be attempting to get back into the Premier League if anything. The league will be tighter this season as the ability is very similar compared to last season. In regard to transfer activity there have been a lot of big players leave Sunderland and I think the owners will be very happy with the millions coming in, in comparison to only the hundreds of thousands being spent. Teams in contention for promotion and are firm favourites are: Sunderland, Portsmouth, Scunthorpe. Whilst other contenders include Burton, Luton and also Charlton. On the other end of the scale, lets take a look at which teams will be fighting relegation. There are a few candidates this year that are in the category of relegation prediction. Walsall, Gillingham, Blackpool, Accrington, Wycombe and Wimbledon. With 24 teams in League One, there are a lot of bets to be placed. 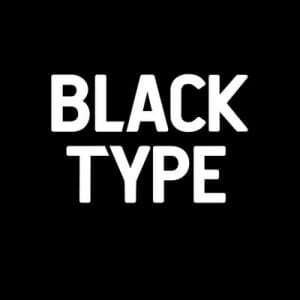 The most popular type of bet being accumulator bets. 12 matches per week means you can place big accumulators and try and win big by betting small. You can read about how to place accumulator bets and the best strategies to take at our Accumulator Betting page and our Accumulator Insurance page. It is fair to say it has been an embarrassing and tragic few years for Sunderland. With 2 successive relegations taking them from being a well-established Premier League team down to a forgotten League One side, deprived of its brilliance. I think now is the time for Sunderland Athletic Football Club to wake up and smell the coffee! This season is the first time in years that the squad has a real spirit and motivation to make their way back up the ranks and return to the Championship. Sunderland now have a new owner, manager and squad to boost the mentality within the dressing room and the fans, which will hopefully show on the pitch. Sunderland have done some nice business in this summer transfer window, bringing in 10 new players, including the ex-Peterborough Captain Jack Baldwin for a fee of around £200k. They have got rid of some big names which was expected when the side has been relegated into a division such as League One. They have made a lot of money from selling players and the supporters will be hoping that the money is then re-invested into the club to improve it and get it back where it belongs. 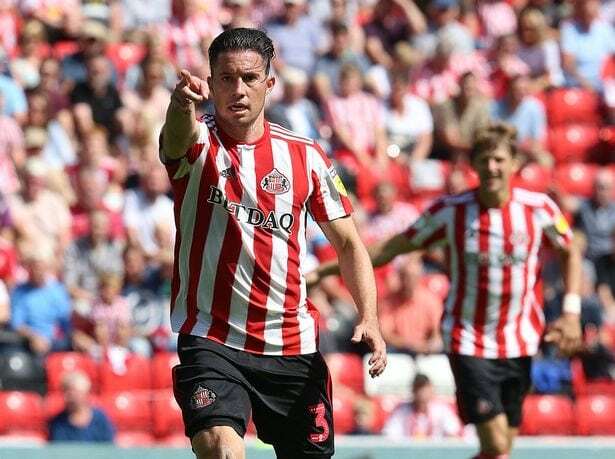 Sunderland are favourites to be crowned Champions of League One, with the best odds coming from 888Sport who have Sunderland at 3/1 favourites. People may remember years and years back when Portsmouth used to be a Premier League side, well since then they have certainly disappeared off the radar and have joined the list of forgotten teams. This season could be the step in the right direction for them and to revive their past. Kenny Jackett, the manager, is now experienced with his side and has settled in, so there are no excuses. They are sure to be contenders for promotion; their squad quality is similar to Sunderland’s, so they will be heavily disappointed if they don’t finish around them this year. The best odds for Portsmouth are at 10Bet where you can get 23/10 odds for them to get promoted. Over previous seasons, Scunthorpe have been unlucky not to have gained promotion up to the Championship and have sniffed around it for a while, so this season could give them the extra step they need to reach that target. 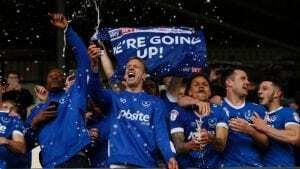 A likely target for them would be the playoff places, where they could potentially face some fierce opponents including Peterborough, Barnsley and Luton, etc. BetVictor has extremely high odds for Scunthorpe, giving them odds of 7/1, which you can find by pressing the Bet Now button below! Last season Rochdale found themselves in a relegation battle and just managed to come out on top and maintain their position in League One. However, this time around I don’t think they will be so lucky and after 4 seasons in the division, I think its time they say their goodbyes. The quality of the league is improving, and Rochdale are struggling to cope with this, so I think maybe League Two will be their destination next season. Betfred are labelling Rochdale at 9/2 odds of being relegated at the end of the season. 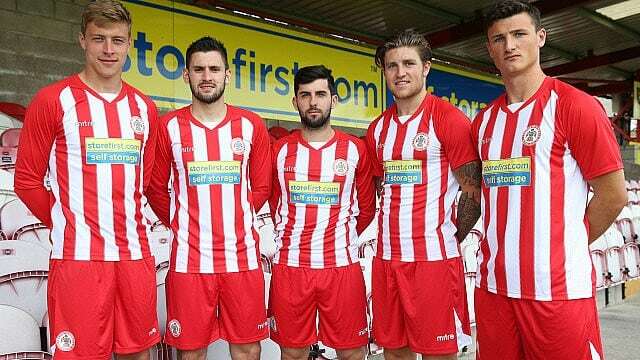 Accrington Stanley are a very small side and I think they should just appreciate being in the division they’re in. They have League Two written all over them. Fair play and a huge congratulations for being in League One give the size of the club. With a small budget they have, it will be hard to see them compete with the top dogs of the division and their aim for the season will just be to avoid relegation. Betway have labelled Accrington at 2/1 odds which just shows what the bookies make of it. 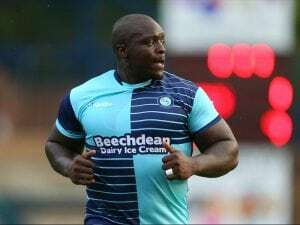 Things are looking down for Wycombe rather than up. Losing their best player Luke O’Nien and having a squad that looks like it lacks the quality needed for the division, it good be League Two on the cards. Wycombe are backed by bookies as the likely favourite to be relegated. But we will see what happens come the end of the season and whether they manage to hold on. Unfortunately you will not find good odds for Wycombe, with majority of bookies having them at evens to get relegated, one of them bookies being Marathon Bet. The fourth and final team that we predict to be heading towards relegation and into League Two is Gillingham. They are another team that lack quality in their team. The past 2 seasons they have lingered around relegation but have managed to dodge it, finishing 17th Place last season, and 20th the season before. Unibet have labelled them at 13/4 to be hit with relegation.